Facetune. At some point in our lives we have felt the pressure to edit out a pimple or smooth out a dry patch of skin. It seems like the norm nowadays to just want to change every single detail of who you are. But where do we point the fingers for blame? Would it be other serial offenders of the app like James Charles or the Kardashians? Or do we simply have to look in the mirror to realise its our own fault for allowing an app to control our perception of beauty. The Facetune app gave everyday, regular people to do Photoshop-style retouching of their photos from their smartphone. I was intrigued after seeing influencers making youtube videos on how they use it. I remember when I first downloaded it. It started out innocent. Brightening and enhancing the details in makeup or my eyes. And I am very real when I say, it became a full-scale addiction. I learned to hate every single feature of my face. And Facetune soon became my quick fix of cosmetic surgery without the pain or cost. Not one of my pictures weren’t edited heavily. I felt like such a liar when friends would comment on the image complimenting me. Were they even aware it wasn’t real? Or did they just feel sorry for me? I began to stop uploading less pictures of myself. I watched more of people I follow fall into the trap. But the obsession had moved onto our bodies. I instantly felt sick and ashamed I bought into this. And I quickly realised, I cant live my life editing everyone of my pictures. I wanted to be happy and be able to love myself. I was addicted and needed to ease myself off it slowly. This is the photo I first uploaded. I honestly was surprised how much people thought how pretty I was without slimming my chubby face, enlarging my eyes and smoothing the entirety of my face. It was a wake up call to say the least. I was back to the basics. Brightening and enhancing the details of my makeup, jewellery and hair. And then adding a grainy effect and a vintage filter to my photos because I like to pretend it’s still the 1970s for aesthetic purposes. And I can honestly say I have stuck to that since. I know people would argue I don’t need to do that. But honestly, it’s what I am happy with doing. I have been editing less and less as I have started my journey to self -love. I am glad I got out 0f the grip of Facetune when I did because it has changed into something more ugly and sinister. Beauty Youtuber’s are quickly becoming the new-age celebrities. Their social media platforms are followed by millions, and their influence trends all over the world, which means when they mess up, it’s first-page news. 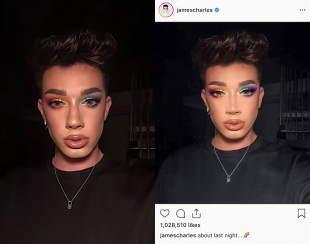 James Charles is no stranger to drama and controversy. James Charles uploaded a video on the 8th of May, were he edited his subscribers selfies. This didn’t sit well with me one bit. If he’s not being caught out for his racially charged posts which himself and his peers have been guilty for. Then it is for falsifying the entire thing that made him famous: his makeup ability. 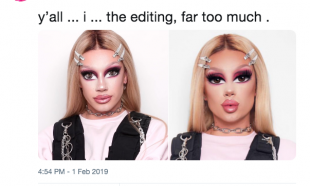 He has such a young impressional audience, and instead of teaching them self love and being confident with who you are flaws in all, he decided to teach his followers how to edit to the point of unrecognisable. He has never shied away from his use of Facetune which could be commendable to a very small degree. But it seems now that Charles has started to rely a whole lot more on programs like Photoshop and FaceTune instead of his talent which earned him fame and notoriety, and the beauty community is not having it. One wrote: “I take it really personally too. I’ve been through two two year college courses and a three year uni course that’s cost me over £60k to get to the skill level I’m at as an mua. And this guy comes along with no professionalism, a bad attitude and very average talent -” they continued “If you take away the face tune he’s average, and even if he was amazing it doesn’t negate the fact that he’s done some really sh*tty things. “. It seems people are becoming more and more fed up with the lies. With the list of scandals James Charles has gone through it is confusing as to why this one continues to slide by the radar. Truth is, there are many more talented people out there who don’t feel the need to falsify their makeup skills and can achieve jaw-dropping looks without the use of editing. 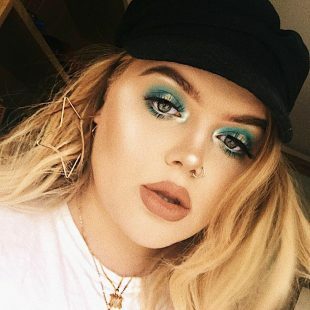 Facetune is slowly taking over the makeup empire which is sad as makeup is a method of expression. And it is the purest form of art. It has gotten to the point where the biggest problem is the large gap between your real life self and the online persona you show to the world. It is important to note, everyone has their own line that they draw for what is too much, but it is undeniable that this is rapidly becoming a bigger issue every day. From first-hand experience, the more you use this app and the more changes or tweaks you make to yourself, the worse it is going to get. You need consistently edit to the same degree because if you don’t people will catch on. It is this underlying embarrassment of not wanting to be caught but also wanting to be perfect, it is like falling down a rabbit hole every time you upload. And unfortunately, you slowly become a master of the trickery. I love Instagram but I can’t deny it’s part in this. Instagram has to be one of the most toxic social platforms for mental health. We are constantly feeling like we are missing out on things or not doing enough with our life’s. But, in reality we are only seeing it from that viewpoint because the person on the other end of the screen wants to portray that narrative because they feel the exact same. It is a never ending, vicious cycle. YouTube star, Tana Mongeau is another influencer who is open about her intense usage of the app. Her usage has become a meme online which she jokingly takes part in. But, I cant help but feel sorry for her. She is a really pretty young woman with a healthy normal body! It just shows that it isn’t just everyday people being plagued with the thoughts of not being pretty, thin or instagram-worthy enough. It is also those in the public eye. Recently, I came across an instagram page called, CelebFace. “WELCOME TO REALITY – If you don’t want to see the truth ➡ leave this page.” reads the bio of the account. The page has around 927K followers and it gives an inside look into the obsessive dissection of the way celebrity bodies are formulated both on-screen and off. The red-carpet photos of the stars are magnified to show on closer inspection that they have been nipped and tucked with the help of the before images courtesy of Getty images. 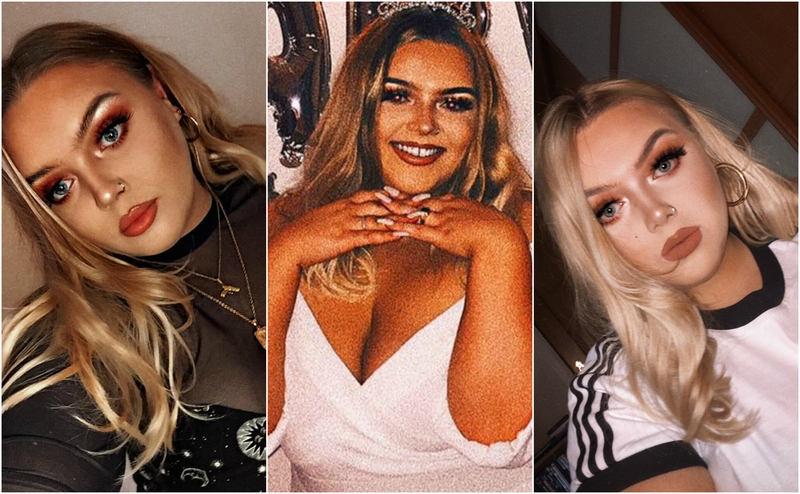 There is tons of photosets documenting the plastic surgery of celebrities, models, and influencers, which offer a hypnotising development of lips plumping and noses thinning, and often the person in the first and last photo are unrecognisable. 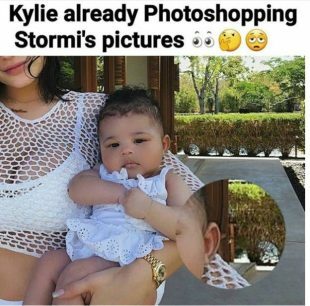 As you scroll down more posts and begin to Celebface deep-dive into the airbrushing with fillers and more immense plastic surgery, it’s hard not to be sickened, sad and obsessed with how these celebs are editing and orchestrating their own photos. 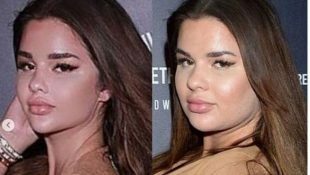 It is common knowledge that the Kardashians are increasingly cited as an inspiration for plastic surgery and you can clearly see this on Celebface. From the way women shape their eyebrows, wear their liquid lipstick and even dress. But it is a little more complicated than that when you take into account of the Kardashian’s blatant and constant self-perfecting and editing. When we look at the bodies of famous women like Kim Kardashian, Beyoncé or Bella Hadid which are the result of work, attained through a careful, expensive regimen of dieting, exercise, professional glam sessions, or plastic surgery. The revelation of Celebface presents the newly “preferable” bodies that plague our Instagram feeds to be simply not real. This new phenomenon is strange as for years, magazines have been shunned for photoshopping images of celebrities and distorting the line of what is real and fake. With, the calling out of celebs on Celebface & of course, Twitter. It seems like the veil has been lifted from the masquerade of what we have been sold to us through these various photoshopping apps. It hasn’t only affected our self-image and confidence but also how people look at others. More disturbing, how we feel about our own children’s image. Kardashians are a brand and have naturally included their children into it. But let’s be real, it’s not as if a child can sign a contract about what can and can’t be shown. But surely “slimming down” your child is crossing a line. It is a clear self-esteem issue to decide in order to quarantine your own self-hatred you must project it on to innocent kids. It is just a step beyond too far in the search for total perfection. Childhood, particularly early childhood, is the most crucial time because that is when our brains absorb the most fundamental messaging about self-esteem. It’s the period in our lives when we are learning what love looks like. If this is what love looks like where a parent is feeling so ashamed of a child’s appearance, they want to sell a false reality, we should not be surprised if that child chooses to be involved in devastatingly damaging relationships when they grow older. If children are being hand fed the idea that they are not fit to be displayed in public, or worse, that their only value lies in their display, we have ourselves a serious problem and I fear for my own children growing up in a world like that. Thankfully, with movements like the body positive movement, these issues are starting to be tackled up front. And, more and more people are realising what garbage it is to distort yourself like this every time you upload. It is so easy to be sucked in to this world. I have been there. And so, have friends of mine. Every time we open Instagram, we see the editing up close. It could surround and consume us when we feel most low. Sure, you might be able to just brush it off, but they affect us more than we think. Photoshop is not just used by advertisers and companies. In this new digital world, everyone has access to it, and it is used by millions of people like you and me. We are becoming a society that is abusing Photoshop. It seems like everyone is taking it one step too far. This was not the original purpose of Photoshop. Originally Photoshop’s use was just to simply adjust the lighting of pictures and retouch minor inconveniences that distracted or took away from the photo. Now, it is used for everything. It also is not just for colour correction and fixing minor details. It is to completely change who you are. To create a new image. A new version of yourself. We have been taught by these standards of beauty to not only hide our flaws, but to erase them out completely. And if you post a #NoMakeupSelfie you have completed some sort of revolutionary act. It’s time we stop buying into this narrative. Beauty comes in all shapes and sizes, and we need to learn it’s healthy to be yourself. The more we let this mindset eat away us, the more our mental health will suffer. What we see online isn’t real. And the more we kill this ideal of perfection, the more self–love will grow. We must put a stop to the addiction. Put a stop to the poison that is Facetune. This entry was posted in Blog and tagged with Blog, body positivity, creative writing, Feminism, social media, women.